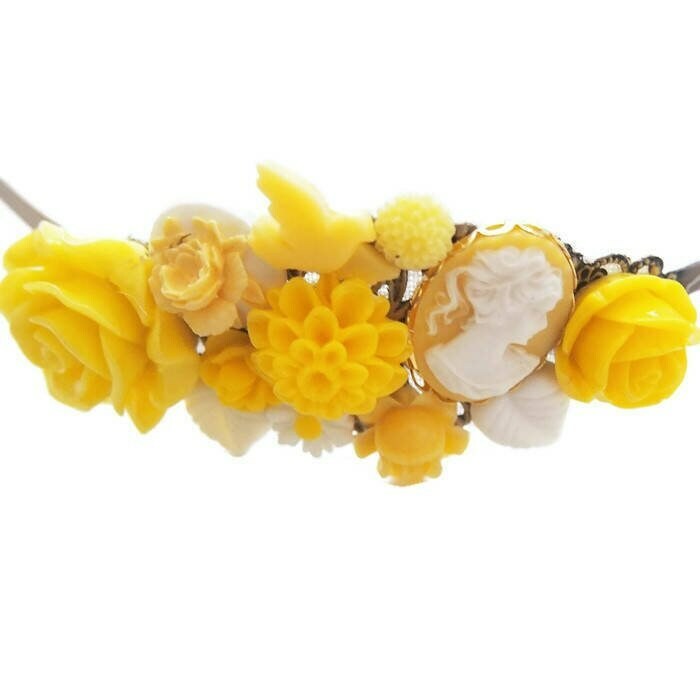 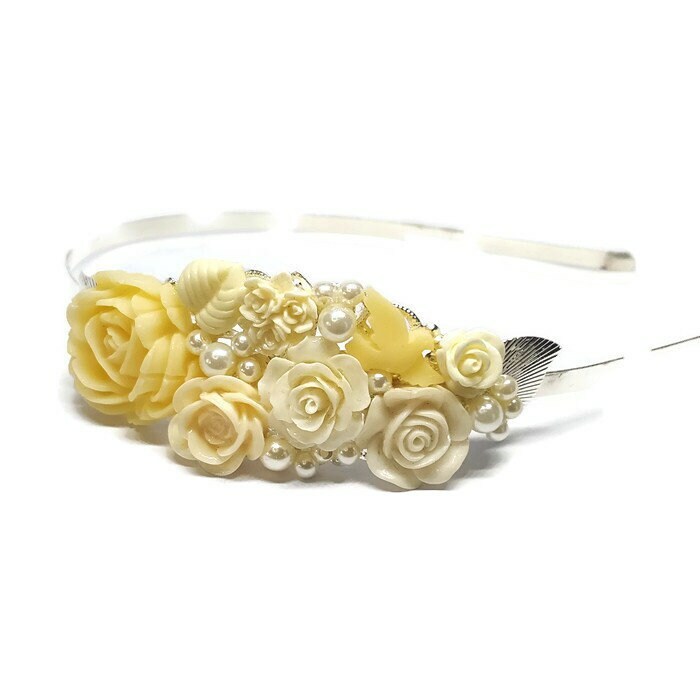 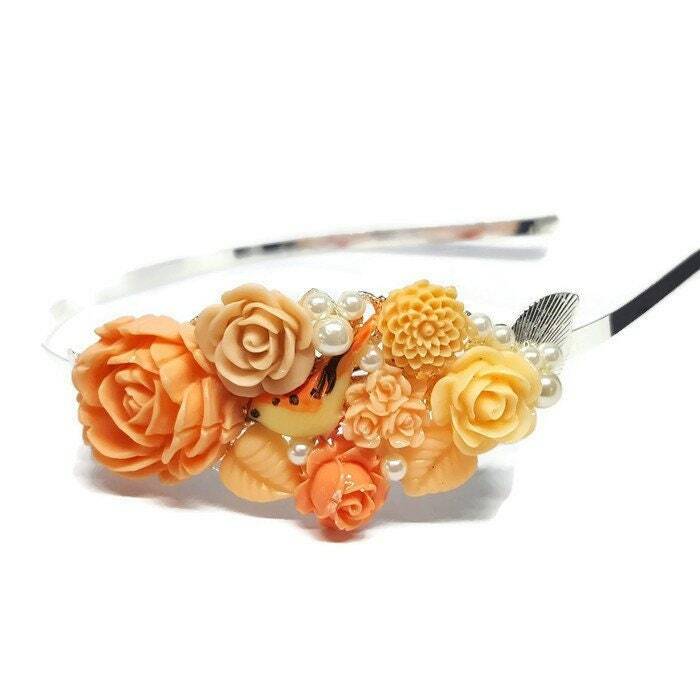 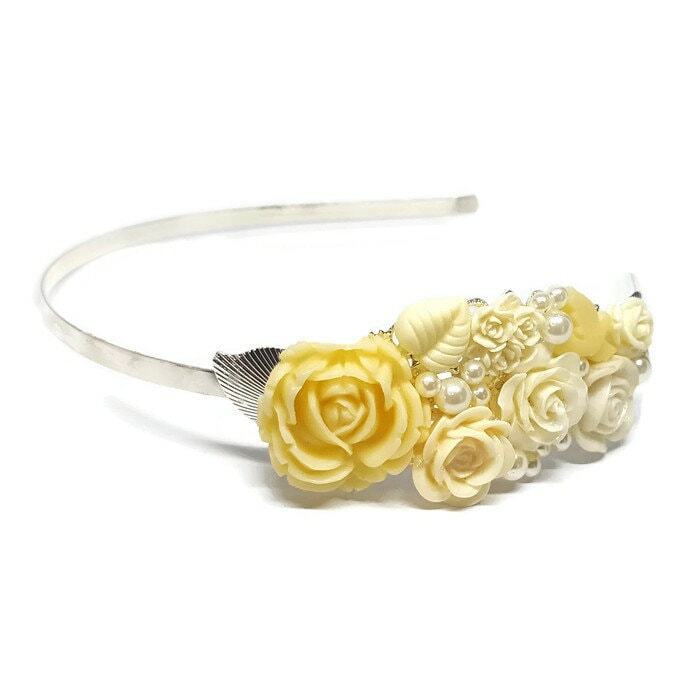 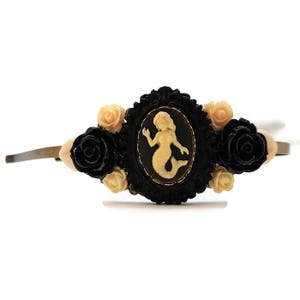 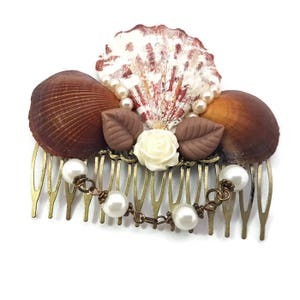 This headband is super pretty with off white flowers accented with pearls. 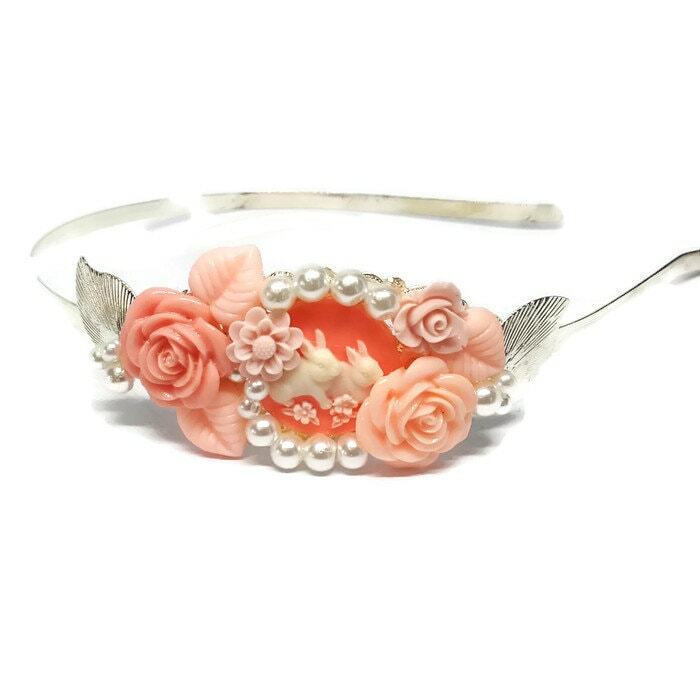 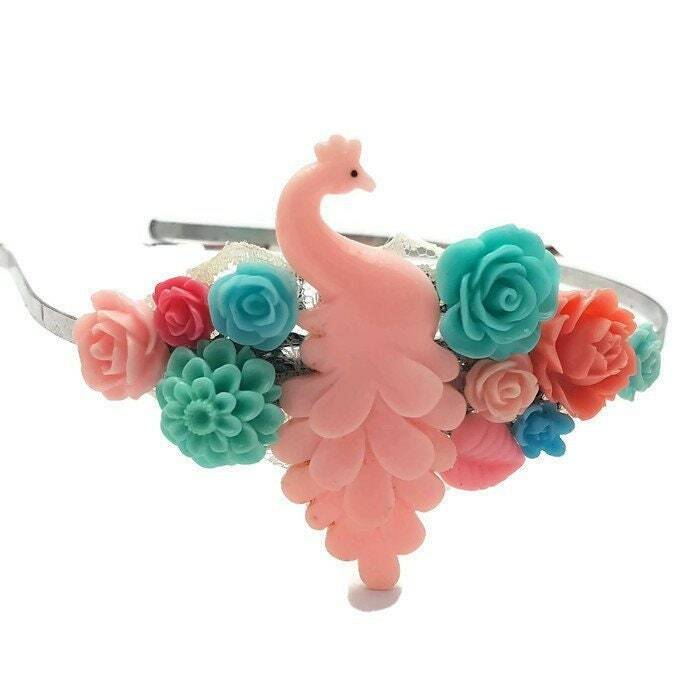 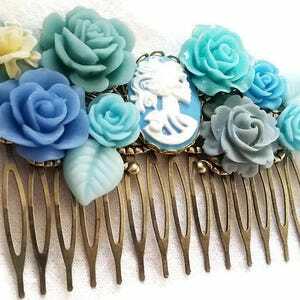 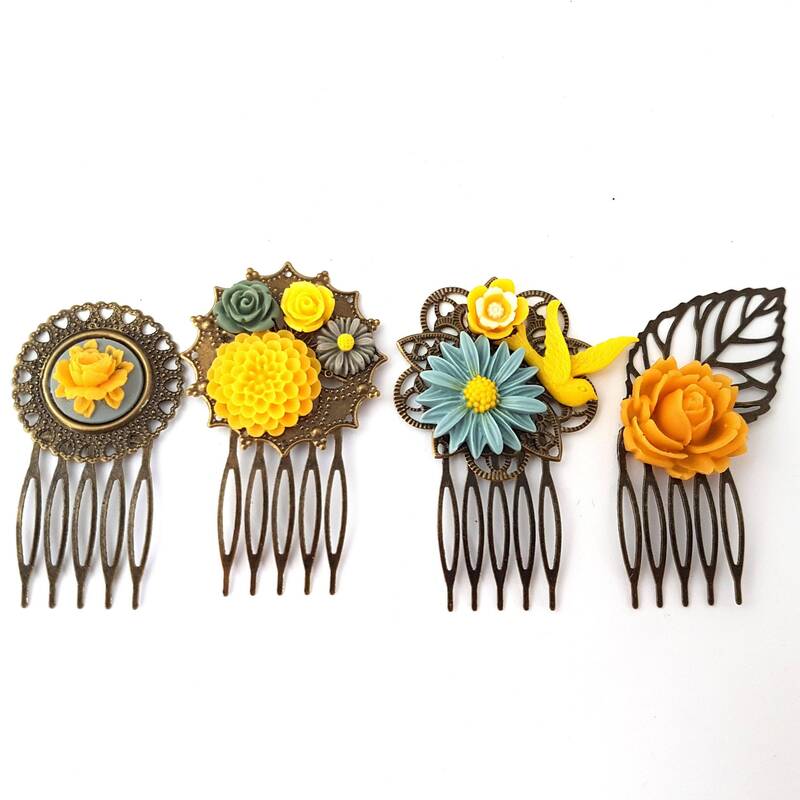 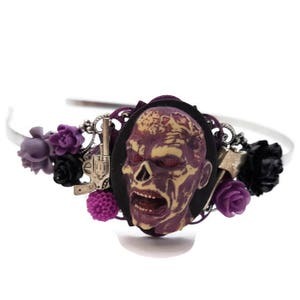 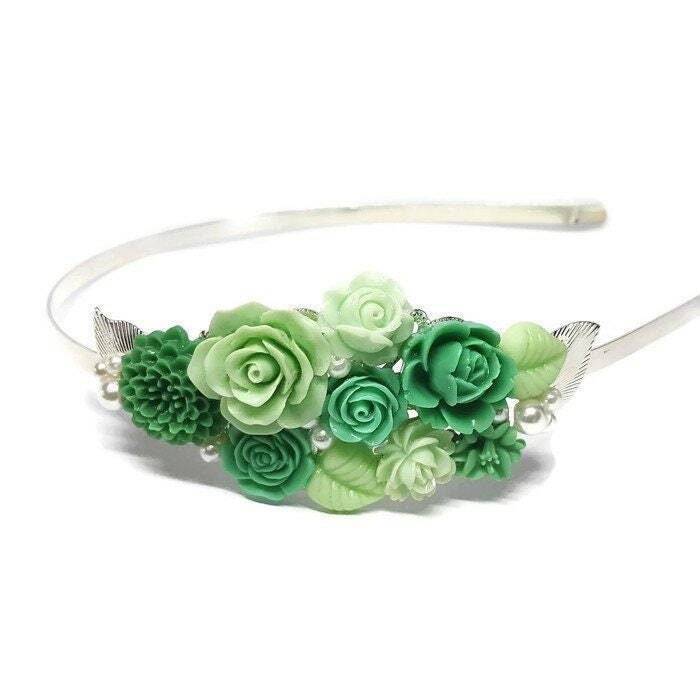 The flowers are securely attached to the silver filigree headband. 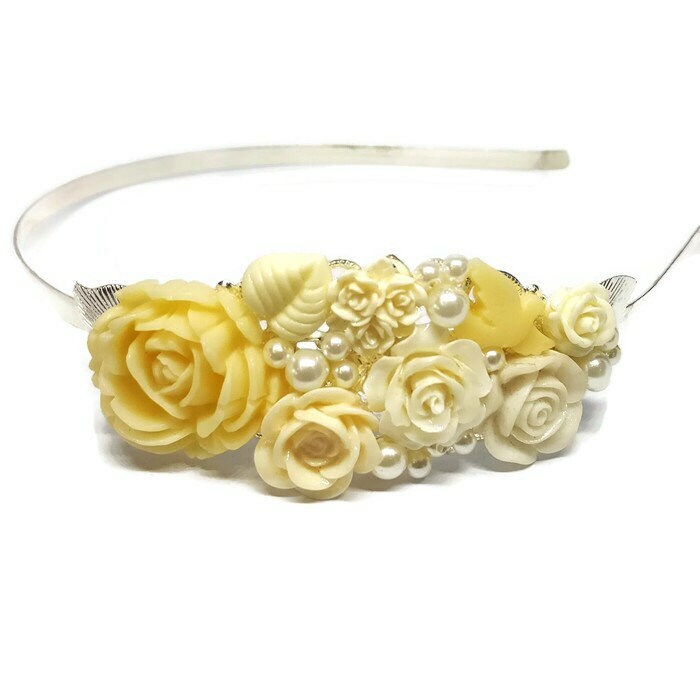 Each cluster headband is handmade by me and cannot be perfectly replicated.